Routine vet visits are vital to your cat’s health, but they can be stressful for you and your cat. Here’s why regular checkups are important and how to make vet visits less stressful for your cats. One of the greatest challenges I faced when coordinating the Seniors for Seniors Foster Program at a local shelter was getting cats into carriers for transport to their foster homes or for health check-ups. Rides in the car were no fun either when the most stressed cats howled, hissed, defecated or threw up in their carriers. My friend, Ann, has seven cats and planning trips to the vet is always quite an ordeal. She has to carefully plan where to stage the cat carriers and which cat to shut in which room. It’s always stressful for the cats and not much fun for my friend either. 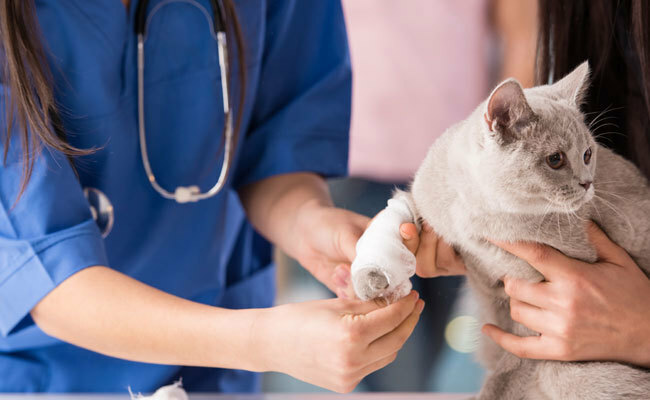 A 2013 study by Bayer and the American Association of Feline Practitioners (AAFP) found that 52 percent of cats in the U.S. had not been taken to the veterinarian in the past year for necessary check-ups. The study also found that only half as many cats receive annual exams as dogs. Truman the therapy cat is loved and sought after for what comes naturally—making people feel good. His many friends at Jewish Senior Services nursing home in Bridgeport, CT, eagerly await his visits and share how much he means to them on Truman’s Facebook page. One doctor even wrote a prescription to have Truman visit a senior patient who was suffering from depression. The gorgeous white loving ball of fluff also helps comfort children at the Cove Center for Grieving Children in Easton, CT. While people are used to hearing about therapy dogs, they are often surprised to hear that cats work as service animals, too. With National Cat Day (Oct. 29) just around the corner, it’s the perfect time to highlight the wonderful work being done by therapy cats. Truman is just one of 211 cats registered with the Pet Partners Therapy Animal Program. 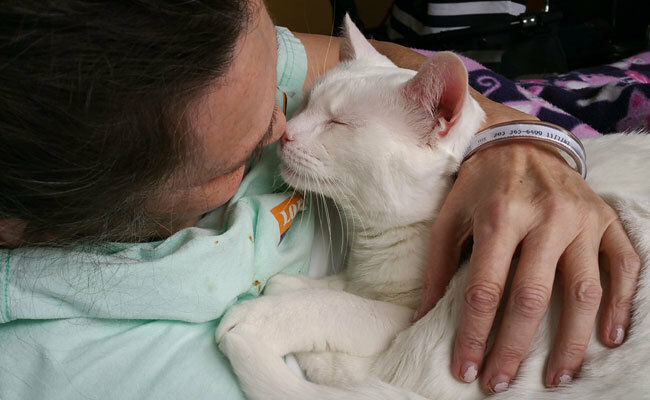 Therapy cats registered through this national nonprofit provide people of all ages and health conditions with unconditional love and comfort. The cats work in a variety of settings including hospitals, assisted living facilities and facilities that serve veterans. 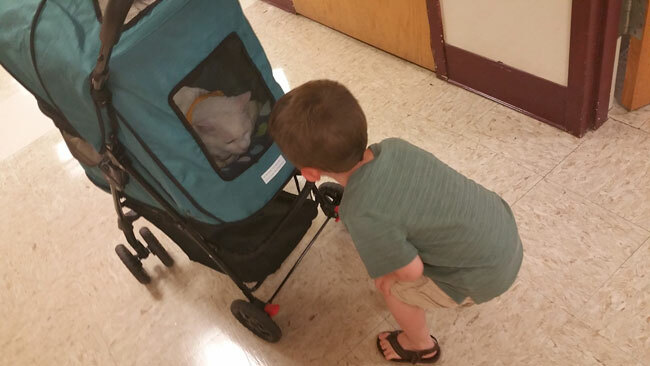 Service cats also visit schools and libraries as part of reading programs. Reading to service animals helps students build their confidence and reading skills. Some therapy cats have participated in employee wellness fairs. Children are especially excited when Truman arrives in his carriage. One of my favorite Halloween memories is when my friend Joy and I entered our dogs in a fundraising costume contest at our local animal shelter. 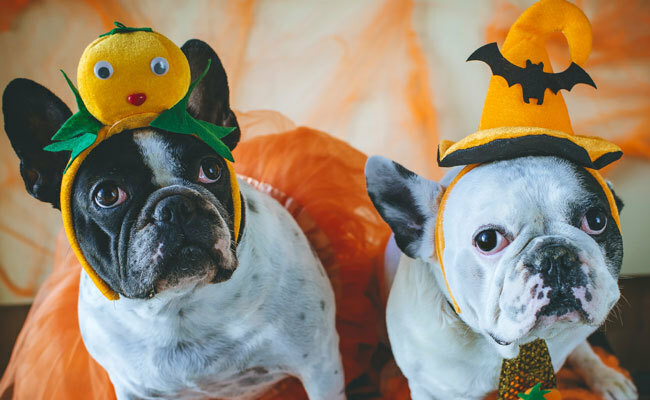 Lucy, a Rottweiler mix, and Ricky, an English springer spaniel, were dressed as a bride and groom while surrounded by dogs dressed in a wide variety of costumes including a hot dog, a lion, a tiger, Superman, a witch and the devil. 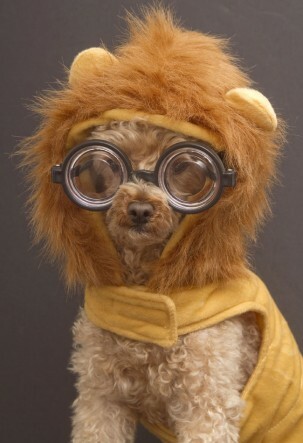 While not all dogs enjoy dressing up, these contestants really seemed to enjoy the festivities. Recently as I pulled away from a toll booth on the New York State Thruway I noticed what looked like white feathers blowing across my windshield. Sure enough, when I glanced to my right there was a truck bed stacked high with flat crates each crammed full of live chickens. It was about 90 degrees outside and I couldn’t imagine the pain, fear and confusion of these poor innocent birds as they were driven to slaughter. 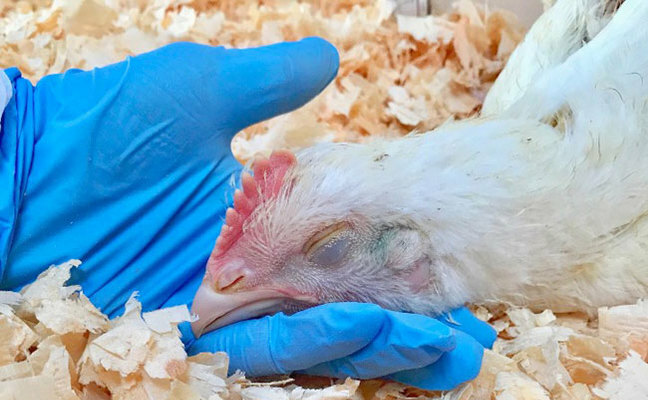 thought about the suffering of chickens again when just a few days later I received an “Emergency Care for the Beloved Birds” email alert from Woodstock Farm Sanctuary. This awesome sanctuary located in High Falls, NY is in desperate need of donations to help cover the cost of emergency care for 14 chickens who survived the annual Kaporos ritual that ended last week in Brooklyn, NY. Kaporos is a ritual celebrated by some ultra-Orthodox Jewish communities on public streets of Brooklyn prior to Yom Kippur. Practitioners symbolically transfer their sins to a young rooster or hen by swinging the bird around his or her head while reciting a passage and then killing the chicken. Many communities choose to use money instead of live birds but a number persist in this cruel practice. I’m embarrassed to say that our collie mix, Jason, is overweight. The pounds crept on as I accepted more freelance and volunteer work leaving less time for daily dog walks. National Pet Obesity Awareness Day is Oct 11 and we are determined to get Jason back into shape. When it comes to dealing with pet weight issues our family has plenty of company. In fact, according to the Association for Pet Obesity Prevention (APOP), an estimated 53.9 percent of dogs are overweight or obese and a majority of their owners are blind to the issue. Among all diseases that affect pets, obesity has the greatest negative impact according to APOP. Osteoarthritis, type 2 diabetes, heart disease, joint injury, various forms of cancer and decreased life expectancy are all linked to obesity in pets. 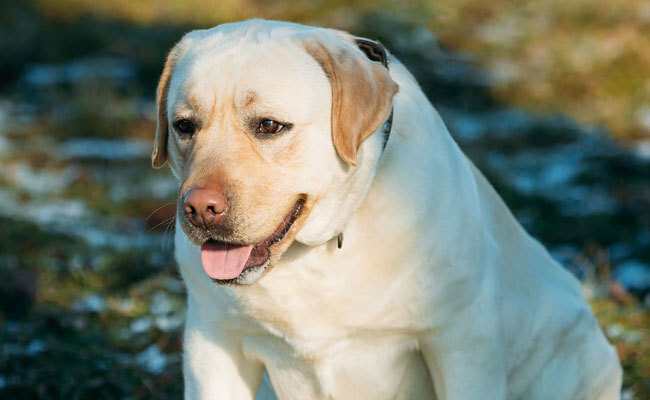 There are many things that families can do to help a dog get back into shape. For some pets, feeding a special diet or substituting vegetables for commercial treats can help. Any new play or exercise routine should be introduced gradually with owners watching for signs of fatigue or injury. The APOP website offers a chart on the daily caloric needs of dogs that can be paired with an exercise program to help your dog safely lose weight. Adopting a dog doesn’t mean you’re inheriting someone else’s problem. Learn the truth and some common myths about shelter animals. It’s a sad fact that each year approximately 670,000 dogs are euthanized in animal shelters across the United States. It happens because too many dogs enter the shelter and too few people consider adoption when it comes to getting a new pet. Many buy into one of the most common myths that when you adopt a dog from a shelter you are inheriting someone else’s problem. The truth is that shelters and rescues are brimming with happy, healthy pets just waiting for someone to take them home. Most shelter pets are surrendered because of a human problem like a move or a divorce, not because the animals did anything wrong. Many are already housetrained and used to living with families. The first time I visited New York City I was horrified to see horses pulling carriages full of tourists on the busy city streets. I worked with horses for more than twenty years, and I wondered how anyone who cares about the well being of these sensitive animals could force them to work in this environment. 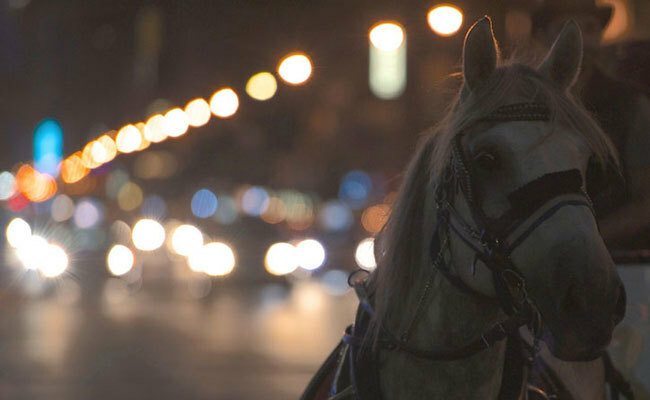 Every day carriage horses are forced to dodge traffic and potholes while being subjected to screeching brakes, car horns, sirens, jackhammers and the multitude of other sounds that can be heard in one of the most congested cities in the world. All so that tourists can enjoy the wonderful sites of New York City. Those who support the horse-drawn carriage industry in cities say that it’s a long-held tradition that should be preserved. That argument no longer stood up in Guadalajara, Mexico, when earlier this year the municipal government followed up on a commitment to put a stop to animal abuse. The traditional horse-drawn carriages are being replaced with electric-powered replicas. According to a report that published in the Mexico News Daily, the first 10 will arrive in Mexico’s second largest city this year. A second batch of 22 carriages is expected to arrive in the first half of 2018, and the third and last batch of 23 in one year’s time. While hundreds of pets were being removed from flood zones in the wake of Hurricanes Harvey and Irma, search dogs were entering those very same areas to find people who might have opted to stay behind and were now trapped by rising flood waters. The search dogs also quickly combed debris piles that were washed downstream to be sure no one was buried beneath them. 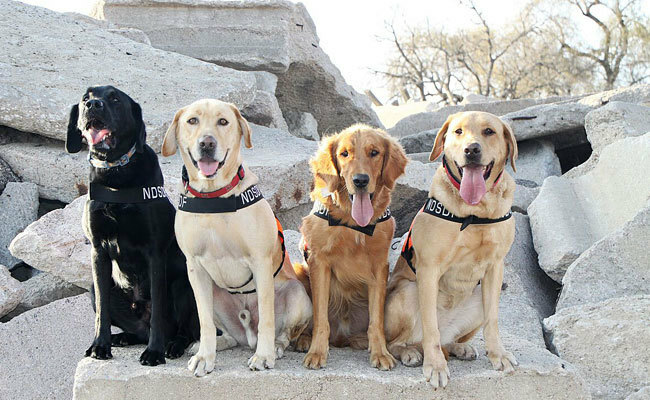 September is National Service Dog Month and a great time to honor the wonderful dogs trained by the National Disaster Search Dog Foundation (SDF). The nonprofit organization located in Santa Paula, CA recruits and trains shelter dogs and partners them with firefighters and other first responders to find people trapped or buried alive in the wreckage of disasters. Most recently twelve SDF-trained search teams were deployed to help in the wake of the earthquake in Mexico City and Hurricane Maria in Puerto Rico. What types of dogs excel in the SDF Program? When members of the Deaf Dogs Network were asked what they would like the general public to know about their dogs, the most common response was: “Please don’t feel sorry for my deaf dog.” Deaf dogs don’t know they are deaf or different and with the proper training and care, they are as happy and content as hearing dogs. 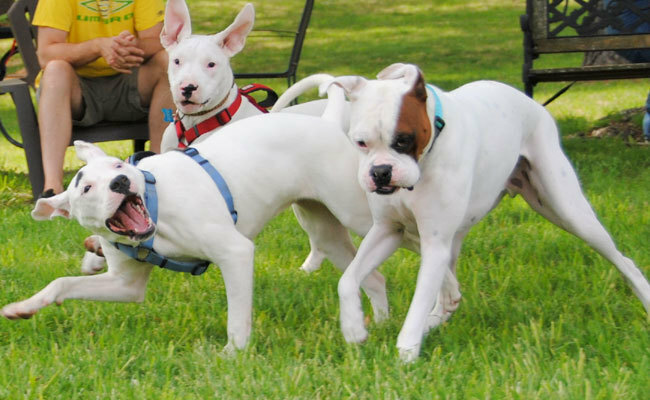 Just take a look at the dogs in the main image playing together in the Deaf Dogs Rock dog park in Salem, VA if you need proof that these terrific dogs can live happy and healthy lives. Feeling sorry for deaf dogs doesn’t help them, says Christina Lee, founder of Deaf Dogs Rock, a nonprofit that promotes the care and well being of deaf dogs and assists in finding homes for deaf dogs surrendered to shelters and rescues. In fact, owners who feel sorry for their deaf dogs and deprive them of their independence can unintentionally cause the dogs to develop severe separation anxiety. Does Adding a Younger Dog to the Family Revitalize a Senior Dog? Our Rottweiler mix, Lucy, was 15 when she passed away. In the weeks that followed we watched Jason, our 8-year-old border collie mix, get more and more depressed. He spent a lot of time laying on Lucy’s bed with his face turned towards the wall. We felt sure that what he needed was a new companion. The problem was making a good match. Jason had only been 6-months-old when we adopted him as a companion for Lucy, and his puppy antics gave her renewed energy. With that in mind, we adopted American foxhound Bella, a skinny 1-year-old, who had been rescued from a kill shelter in Virginia. 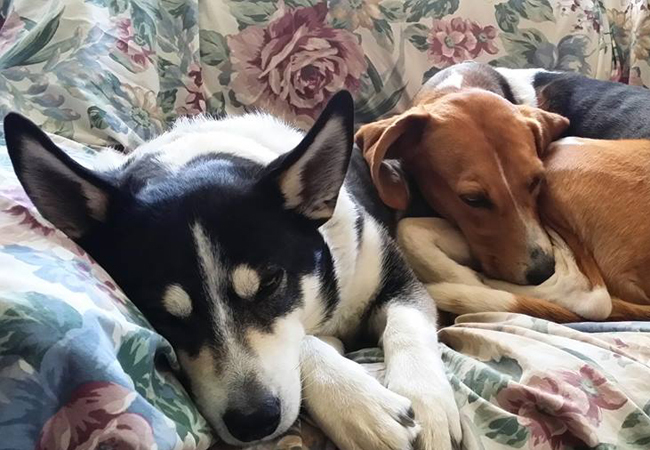 She was used to living with a pack of hounds and always wanted to lay beside or on top of Jason. He wasn’t impressed but soon got used to her neediness. The problems started when Bella gained strength and we got to see her crazy playing style. She was too rough for our senior and didn’t respond well to his signals to back off. We had to constantly supervise playtime to make sure things didn’t get out of control. 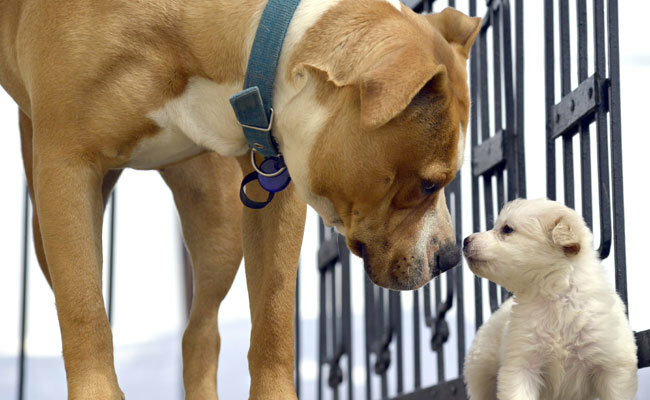 We’ve all heard that an older dog becomes revitalized if you bring a younger dog into the family. Is that true? It very much depends on the dog and the family say experts at the Senior Dogs Project, a nonprofit that promotes the adoption of older dogs and provides information on the special care of seniors. In some cases, a puppy will “energize” an older dog, who will become more playful and begin to behave like a puppy herself again. However, some older dog simply won’t tolerate the changes made by another dog in her home.